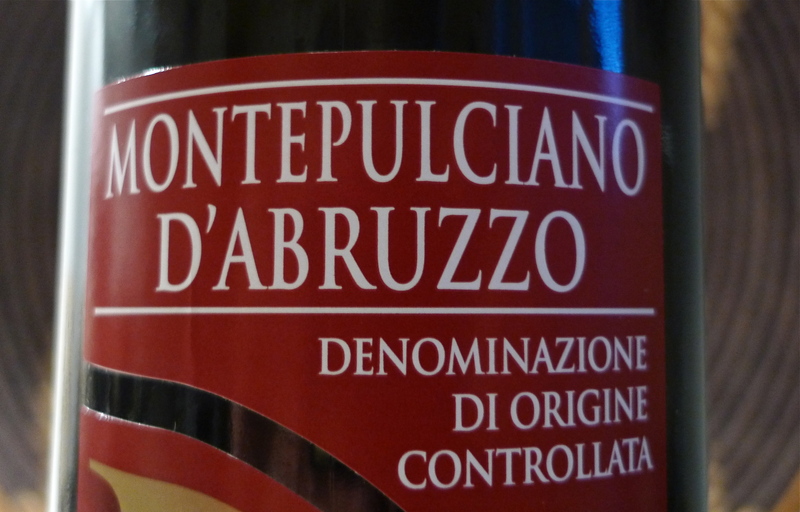 Like the land, this regional benchmark red wine still remains a bit off the beaten path, but rising in popularity, in the infrequently visited Abruzzo, in the southeastern extremes of Central Italy that reach down to the Adriatic Sea. 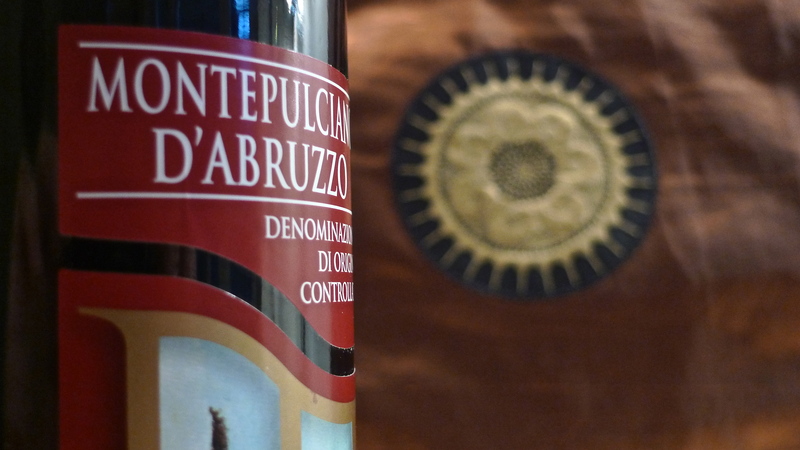 Just one sip and you’ll do what locals have done for years: fall in love with Montepulciano D’Abruzzo. 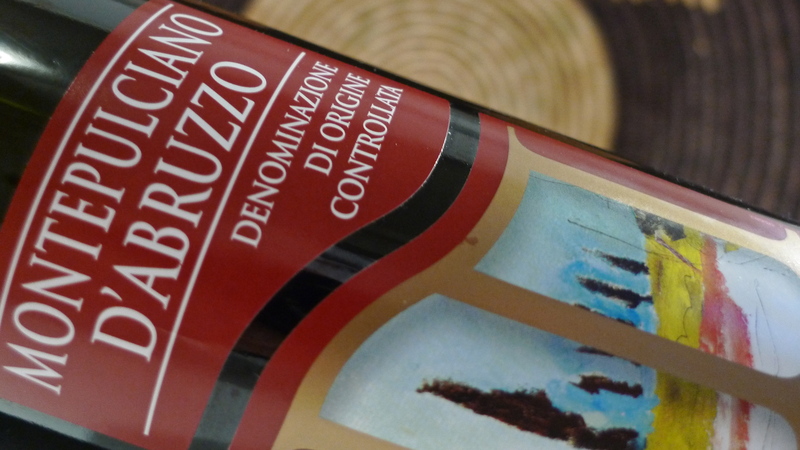 A blend comprised of 85% Montepulciano and 15% Sangiovese grapes, this fruity, but dry, deep Italian red is quite reliable. Above the rim of the glass, take in the enveloping scents of orchard-ripened cherries. 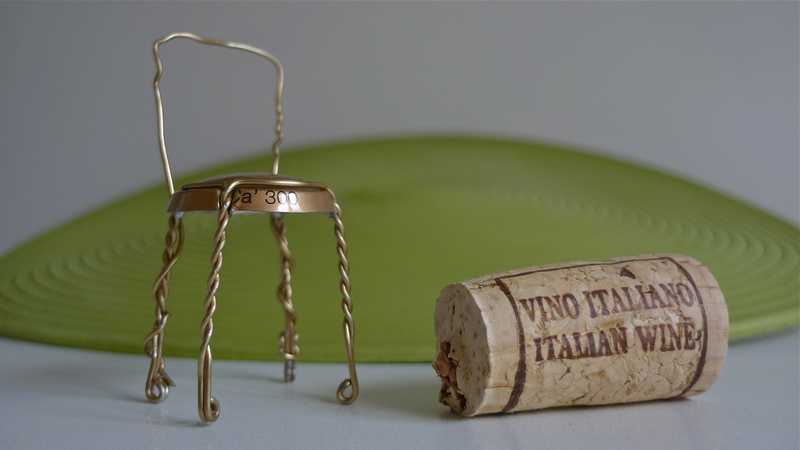 Soft, rounded and well structured, it’s intense flavor is both elegant and compact on the palete with slight tannins at the end of the taste. 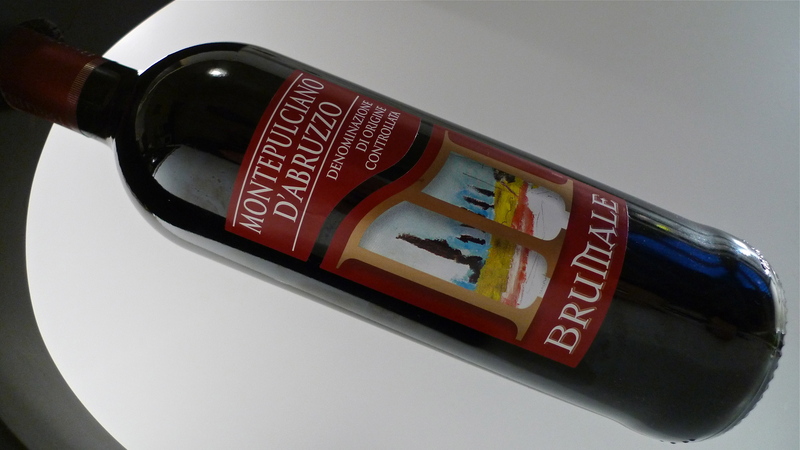 The Brumale Montepulciano D’Abruzzo pairs beautifully with a variety of meat dishes, especially those in sauces, and, above all, it’s the perfect partner with lamb. Just in case you’re wondering, the label art on this bottle comes from a work by Tonino Gottarelli, the late poet-philosopher-painter from Imola, Italy. 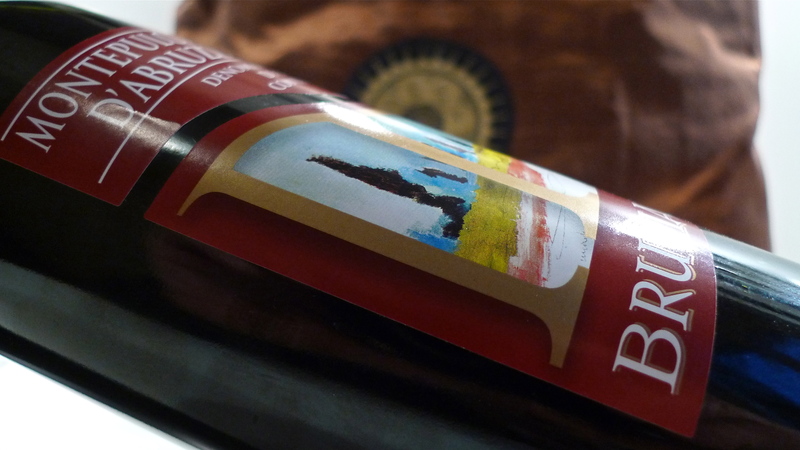 It’s not often that a painter leaves a lasting impression on a bottle of wine. 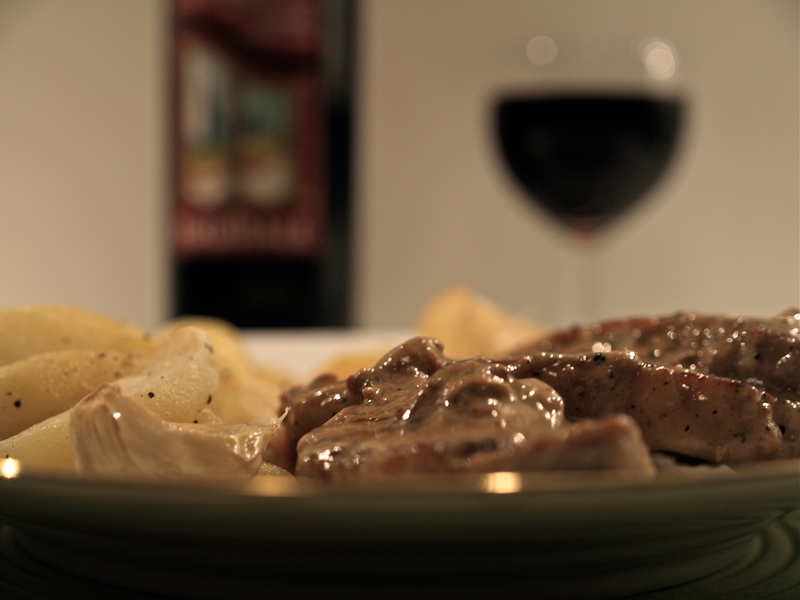 Nicole – No, those are boneless, pork loin chops in a cream and plum brandy sauce. Read the LAZY PERSON recipe post on it.